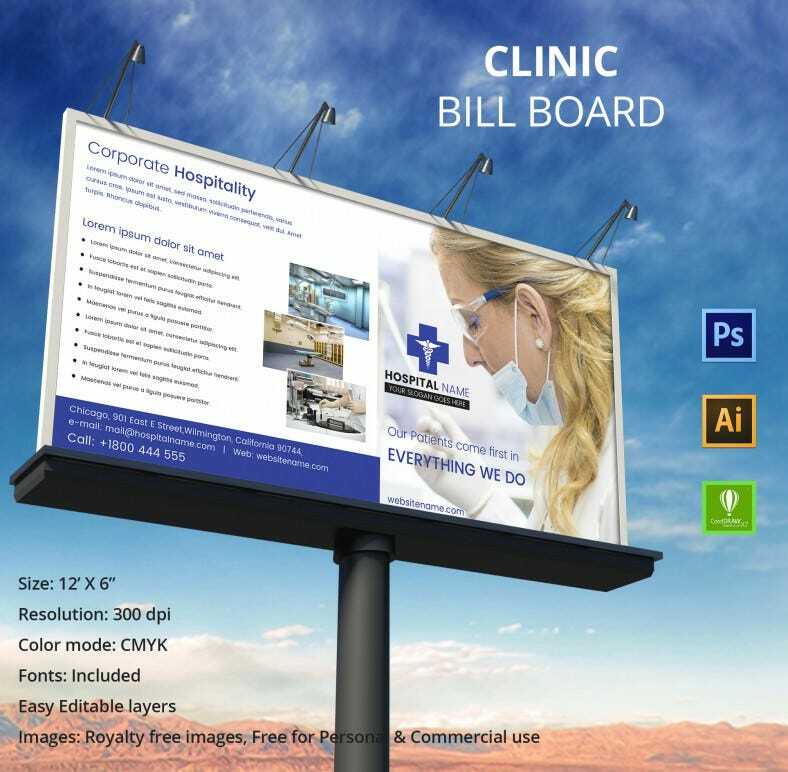 Our website gives you an exciting range of ads for Bill Boards for clinics that are bound to attract the viewers. These ads are present in high resolution to give the best advertisements to you. 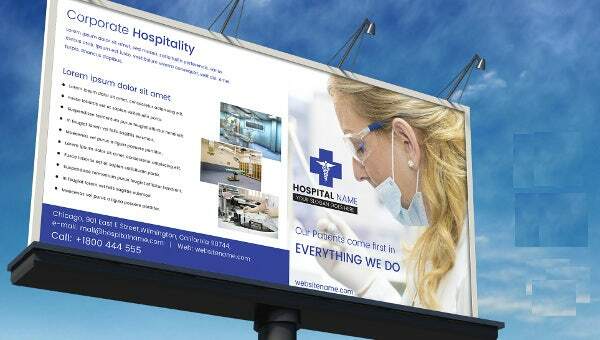 Available in proper different sizes, these banners are present in high resolution to make for the perfect ad on the board. It also includes perfect images and graphics to go along. You can also edit the text and can customize the banner according to you. These ads are present in absolutely gorgeous patterns and you can download and print them from our website in PDF and PSD format.